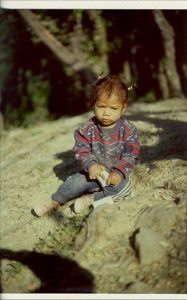 In 1999 Tom Nazario found Karishma, her mother and four siblings living in a hole on the side of the road in the foothills of the Himalayas. Karishma was ill and needed medical attention. Tom got her some help, and over the course of his time in India, decided to begin to help Karishma and her family, eventually sending Karishma to private school where she began to learn English and other languages. Later, through his foundation and a program he developed with help from a board member called “The Children’s Fund,” Karishma became one of the first children that we decided to support long term. That fund was designed to help children who, without our intervention, would likely die or live a life in extreme poverty. It is a program that clearly changes the lives of children forever. 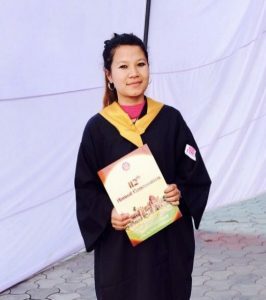 This past year Karishma graduated from Khalsa College Amritsar India and has now returned home to become a kindergarden teacher at a school in Northern India. Karishma speaks five languages and as part of her teaching responsibilities, she will be helping children learn different languages that will hopefully help them leave poverty in much the same way she has. We are very proud of her, and we hope that many of the other children being sponsored through our Children’s Fund do as well as she, and of course we are very glad that we were able to help her in her pursuits in life. If only we could do more, for there are so many children like Karishma throughout the world.